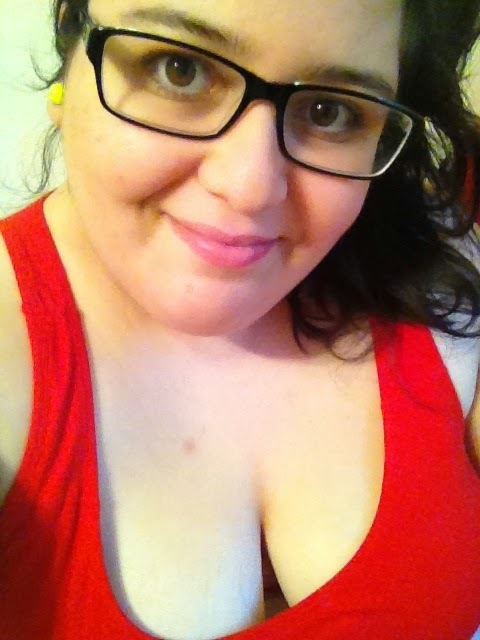 ♥ I'm on my way to Niagara Falls and Buffalo for the weekend. Little getaways are always fun! ♥ Sick Puppies' new album is out, and it's amazing. ♥ Having trouble accomplishing an overwhelmingly huge task? Make the job smaller. ♥ How do you feel about Rag & Bone's first ever menswear campaign? It stars Michael Pitt so I love it. 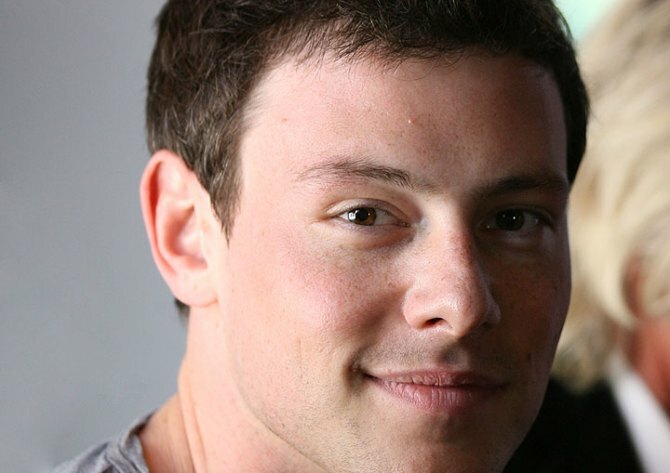 ♥ 21 things that just aren't fair, so you might as well get over them. I thought #9 and #21 really rang true. ♥ 26 signs you work in social media made me giggle. When it comes to travel destinations, New York City is tops. Unfortunately, staying in the Big Apple can have a Big Price Tag. That's why I was thrilled to find HostelBookers. Offering a wide variety of accommodations around the world at incredible prices, HostelBookers is a vital site for travellers to have bookmarked. Why pay top dollar for accommodations when you could save a few bucks for Broadway shows, world class dining and legendary shopping-- while still staying at a quality hotel? 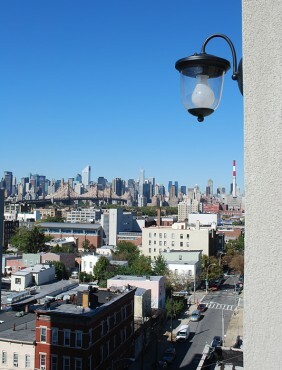 Last time I was in New York, I stayed at Hotel Vetiver*, a charming boutique hotel in Long Island City, Queens. It received the Trip Advisor Certificate of Excellence this year and is less than a 5 minute walk from the metro, with easy access to the N & Q trains. When I compared the price for 1 night's stay at Hotel Vetiver booked through HostelBookers to Expedia to the hotel's own website, I was amazed. HostelBookers isn't just cheaper-- it's exponentially cheaper. Literally half the price. And that's not even the best part! Long Island City is a safe, multicultural area, and I love that it's easily accessible from the other boroughs-- perfect if you want to have brunch in Brooklyn, shop in Manhattan, and return to Queens for the evening-- but also has its own distinct flavour. A couple other perks include friendly staff (always nice!) and a free breakfast (the bagels were delicious!). Adjacent to the lobby is a lounge that serves tapas and imported wine and beer. The rooms themselves are beautiful and spacious, offering views of Manhattan, free wifi, iPod docks, complimentary imported vetiver soap and 32" screen TVs. 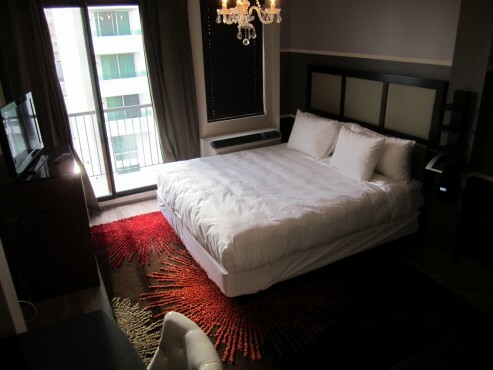 The beds are ridiculously comfy and the decor is modern and chic. For excellent customer service and safe, comfortable, affordably priced hostels and hotels to choose from, book your next vacation with HostelBookers. Try hostels for female travellers or vegetarian hostels and hotels to find the perfect accomodations for you. *I stayed at Hotel Vetiver courtesy of HostelBookers in exchange for checking out HostelBookers' services and writing this article. All opinions are my own. ♥ Realizing that, despite an immense amount of fatigue and pain and feeling discouraged, my persistence and ambition never falter. That feels amazing. ♥ Beach day! Chana, Tush, Abbi & I went to Woodbine Beach last weekend. Few things make me happier than swimming in the lake, especially with such great company. ♥ Marimekko offers a free downloadable monthly desktop calendar. This month, it features a cute black cat! ♥ Make your own maxi skirt! ♥ How Cynthia Rowley Built Her Fashion Dynasty. I mentioned in an interview that my dream was to design Band-Aids for adults. A few weeks later, someone from Johnson & Johnson called. I tell all my employees: If you want something, put it out there as loudly as possible. ♥ 14 books to read before they hit the big screen. ♥ Matilda stars reunite after 17 years. ♥ 19 Disney characters that could have looked completely different. Cleveland was absolutely fantastic. I'm amazed we were able to fit so many fun things into 3 and a half days. Well.. actually only the latter (and an amazing veggie burger in the cafe). 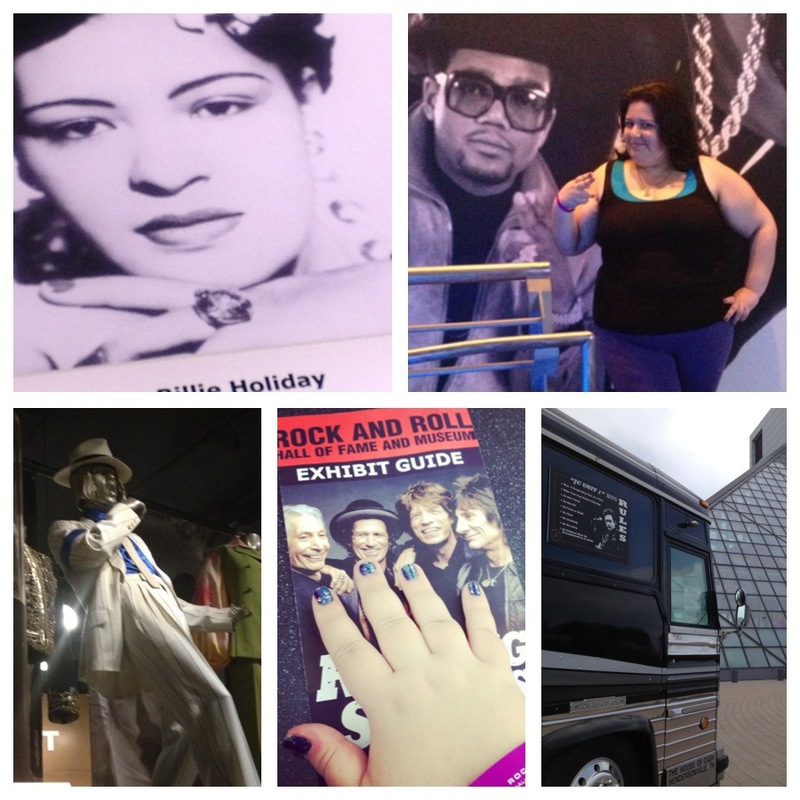 Cleveland is home to the official Rock and Roll Hall of Fame-- the world's only museum dedicated to rock music. It's 7 floors of multimedia displays including authentic memorabilia from the greats (Elvis' car! Michael Jackson's glove! Johnny Cash's tour bus!) to illustrate rock music's long history and profound effect on society. What I loved most about the museum was its ability to mix early music with modern, metal with rockabilly, and to keep visitors engaged for hours on end. After an entire day at the museum (minus lunch in the cafe), we still managed to only see a few floors. 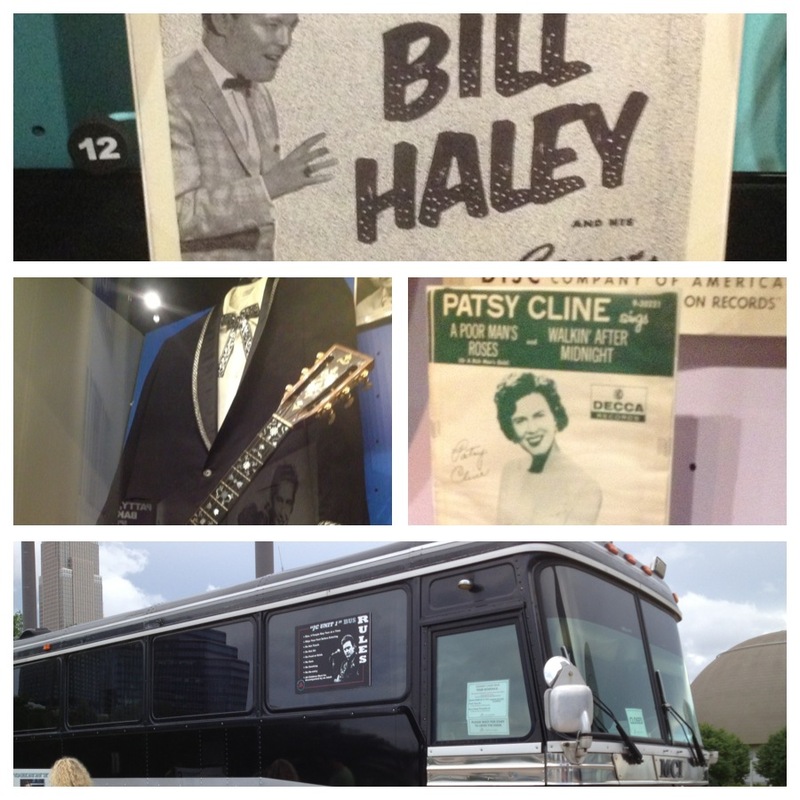 Highlights of the Hall, as shown in the photos above: seeing original posters from concerts like Patsy Cline and Bill Haley; visiting Johnny Cash's tour bus; posing with Run-DMC. Whenever I'm in the States, I love to hit up the stores and restaurants we don't have back home in Canada. I also love to experience quirky places and gorgeous arcitecture, so Tower City Center-- a mall within a skyscraper-- was the perfect venue for shopping and dining. I love the dollar store (aptly named A Dollar), which had nifty craft supplies, trinkets and stationary. 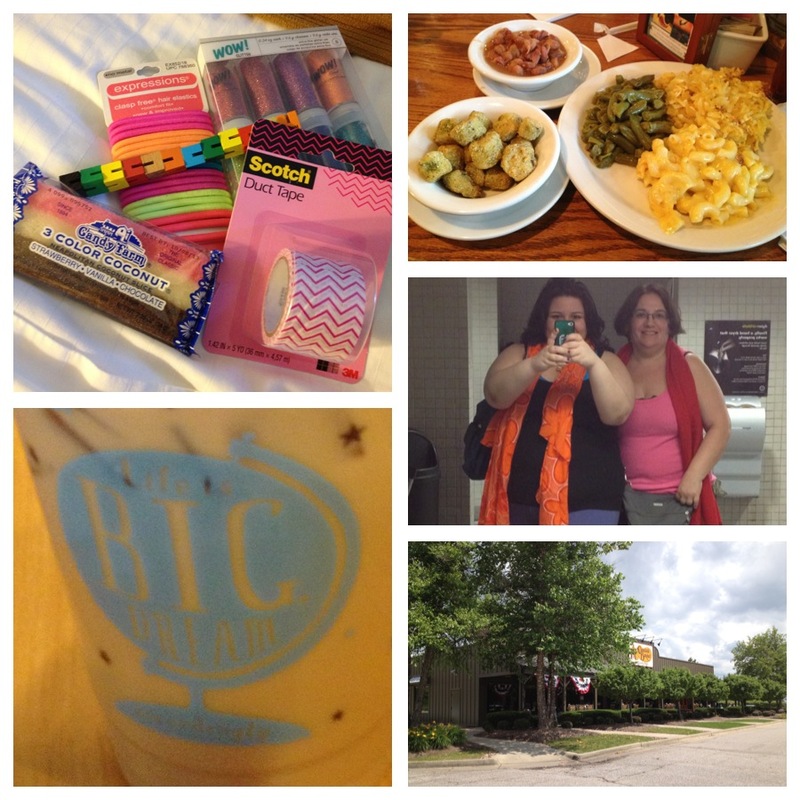 We also hit Caribou Coffee (which I'd never been to, but does have 14 locations in Ohio). I had an Iced Mint Condition White Mocha, which was delicious (though disappointingly not as minty as I expected). And of course, my mom and I had to have lunch at Cracker Barrel. It is our favourite, after all! The International Women's Air and Space Museum is a must-see for anyone remotely interested in flying, space or feminism. 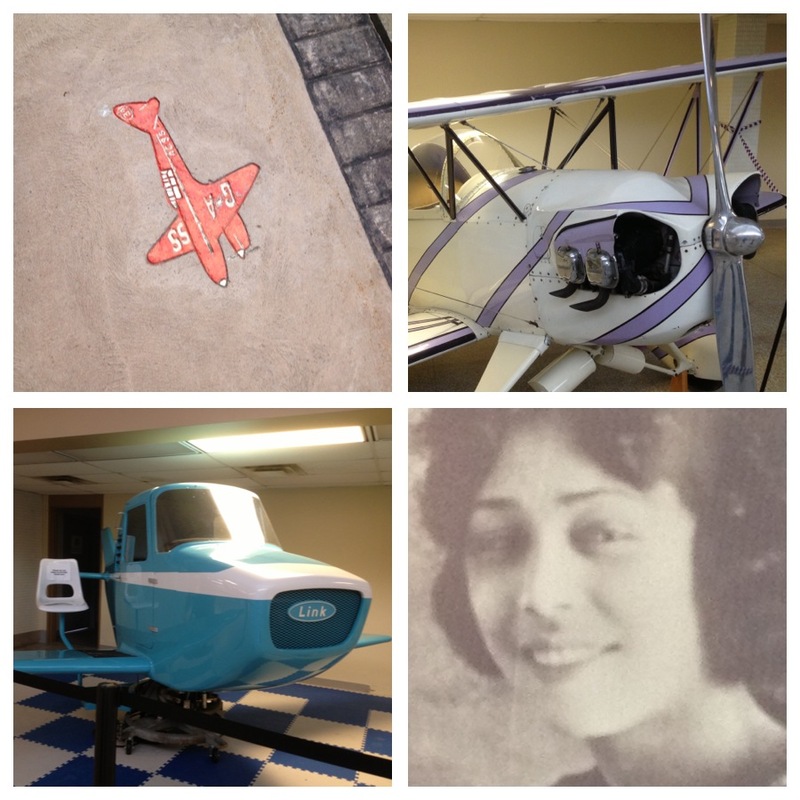 Located in Burke Lakefront Airport, the museum is a collection of photos, articles and textiles relating to the history of women in aviation and space, from Amelia Earhart to Ohio's homegrown contributions to the field. Bonus: Admission is free! 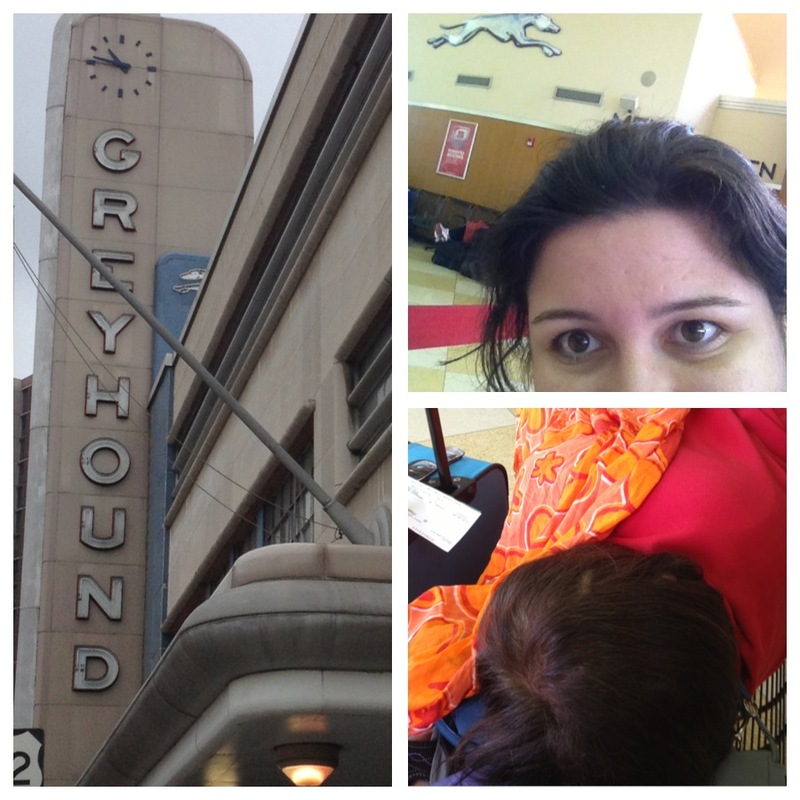 After a great trip, we headed to the Greyhound Station to catch a bus home. I wrote a little, played Connect 4 on my iPhone and listened to Johnny Cash. My mom had a cat nap, wrapped in pashminas. Which reminds me-- always pack a pashmina in your carry on! You never know when you'll need a scarf/wrap/pillow/blanket. Which snapshot is your favourite? Have you ever visited Cleveland?